OCEAN FRONT PARADISE FOUND! Move in ready, lock and go. The neutral, BEACH DURABLE amenities make this an ideal personal or family/friends gathering place. 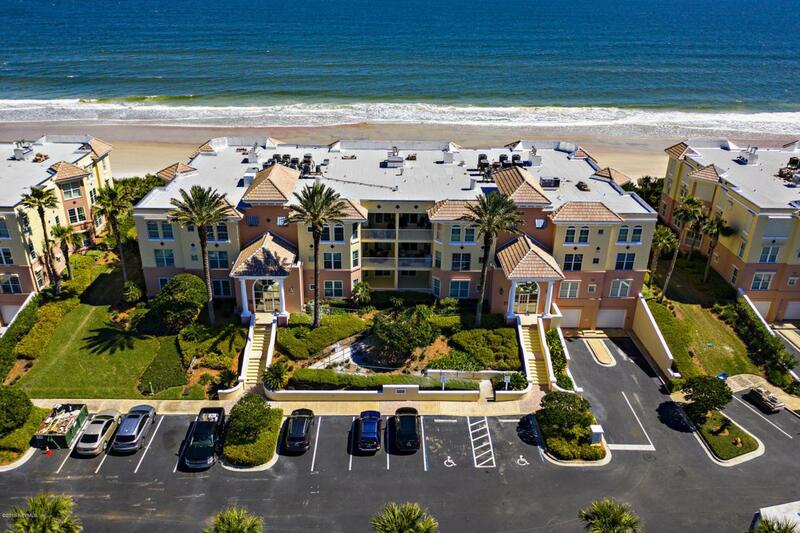 Easily walk out the ground level gate to the BEACH ACCESS, pools, the club and friends! All tile flooring, NEW Pella WINDOWS/sliding glass doors, storm SHUTTERS, 2 GARAGE spaces, 2 storage rooms. Elevator from underground parking to unit. GRANITE and NEWER stainless APPLIANCES in kitchen. Laundry room filled with cabinets. Closets GALORE! Sparkling blue OCEAN VIEWS from the living, kitchen, master suite and terrace. Condo fees include building and grounds maintenance and insurance, water, sewer, gas, pest, management. Just 4 miles north of Vilano and the bridge to historic St. Augustine. Quality of Life . . That's What It Is All About!